This is the third in our series of actor interviews leading up to the premiere of Game of Thrones on March 31st (April 1st in the UK, Scandinavia, and elsewhere). And as it happens, this is also our third interview with Nikolaj to date, and he remains as charming and entertaining as always. The interview transcript below doesn’t really go very far to indicate just how engaging he can be to talk with, and how funny. 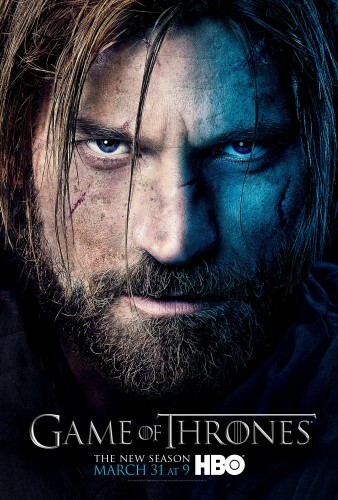 Despite the provison from HBO that details for season 3 were not really permitted to be discussed, Nikolaj provided some small suggestions about how the story may go in the course of discussing the series, his character, and the fans. So, what can you tell us about the new season? How many books have you read now in the series? “I’ve read the first three. I’ll carry on if we carry on to season four or five. 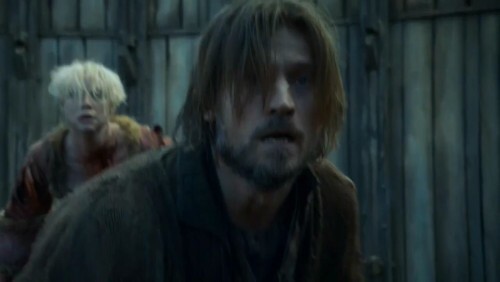 Do I know if Jaime survives? No, I don’t. I’m sure the guys know. Am I the kind of guy who got the fifth book onto my kindle when it came out, and searched to see if Jaime was still alive? That’d be so sad if I did that! We sometimes wish to, but we don’t! “Well, it’s the thought that matters. But I can’t really tell you what happens. That’d be boring for your readers and for yourself. 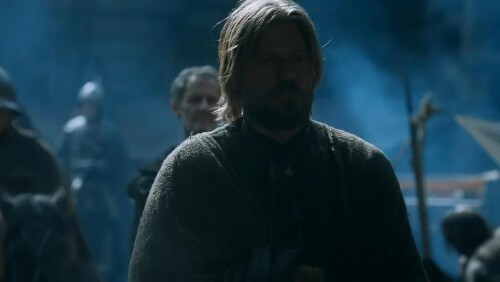 But what’s important for Jaime is not how the world sees him, but how he defines himself. And it’s his love for Cersei that he really defined himself by. But he’s been forced to be away from her for a long time and… He’s still crazy in love with her. I know. 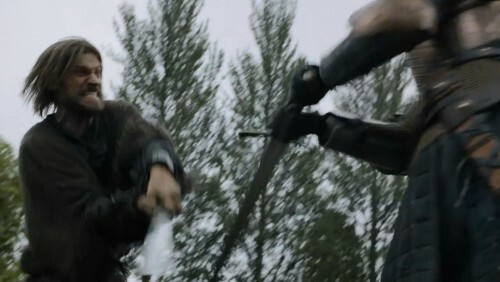 Let me see if I can recover this… well, we’ve seen from the trailer that he and Brienne fight. She’s trying to be this sort of knight figure herself. How does this affect him, seeing this woman trying to live that life? How was it working with Gwendoline Christie? “She was wonderful. We met a few days before filming, and for some reason I just decided to start treating her like Jaime would, and we’ve never stopped. It’s driving everyone crazy around us, as I’m just being really inappropriate and horrible. So, you’re employing method acting? What are fans like to you when you meet them? “They’re really, really nice. I was just in Spain to promote a film called Mama. I didn’t know Game of Thrones was a big hit in Spain, but it is. So I was dreading this signing event at a department store, I thought it’d be empty. But no, it was packed. And they all want to kiss. “Sometimes people ask me, since you play this guy, do people hate him. And no, people really seem to embrace Jaime. Game of Thrones has been a great springboard for you, and many actors. You’re in Mama, you’re going to be in the Tom Cruise film Oblivion. Is it hard to balance these other projects with Game of Thrones? What can you tell us about Oblivion? Have you ever considered moving to L.A. or New York, as so many other actors do? Do you enjoy the sword-fighting scenes? What do you think people like about Game of Thrones? What’s the worst part about playing Jaime Lannister? Is there a concern about being typecast? The writers have mentioned that fantasy shows like this don’t really win Emmys and Golden Globes—not that that’s really true anymore—but does it take the pressure off to not set out with the aim of impressing the voters so you can win?